You know the basics for a healthy mouth: daily oral hygiene and regular dental checkups. But there are other elements unique to you that also factor into your oral care: the mouth and facial structure you inherited from your parents (like a poor bite) and your past history with dental disease. Both of these help define your individual risk factors for potential dental problems. That’s why you need a treatment strategy personalized to you to achieve the best health possible for your teeth and gums. We create this plan by using a detailed and thorough 4-step process. Step 1: Identify your unique risk factors. 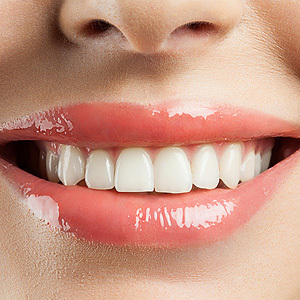 To find your risk factors for dental disease, we carefully assess your history and other areas of oral function and health: the soundness of your supporting bone and gum structures; your teeth’s structural integrity and any effects from decay, enamel erosion or trauma; functional issues like a poor bite, a jaw joint disorder or a grinding habit; and problems with appearance like disproportional gums. Step 2: Prioritize risk factors and form the treatment plan. Once we’ve identified your individual risk factors, we assess how each could impact you and whether any require immediate treatment. Any current dental disease should be treated immediately to minimize and prevent further damage. Depending on severity, other issues like bite problems or unattractive teeth may be scheduled for later treatment. Step 3: Execute the treatment plan. With our priorities in place, we then proceed with treating your teeth and gums, the most pressing needs first. Throughout this step, our goal is to bring your oral health to the highest level possible for you. Step 4: Monitoring and maintaining health. Once we’ve achieved an optimum level of health, we must remain vigilant about keeping it. So we monitor for any emerging problems and perform preventive treatments like clinical cleanings to help maintain that healthy state. This also means regularly repeating our 4-step process to identify and update any new, emerging risks and incorporate them into our treatment strategy. While this process may seem overly methodical, it can actually result in more efficient and cost-effective treatment. It’s the best way to ensure good health for your teeth and gums throughout your lifetime.